Here at JSH Motors we are dedicated in providing high quality (low mileage) jdm honda engines at a affordable price, and excellent customer service. We strive for perfection to ensure the best quality of used jdm honda parts. All our parts price's are set on the condition of the item. Their is a difference from mint to abused parts. Their for the item's cost will be set on the condition, rather than what the part is. This is to ensure that the value matches the condition of the item, Which in turn this sets our company apart. We import directly from Japan to secure the lowest prices possible, without sacrificing quality. All of our Engines are fully inspected, compression and leak tested before we ship to ensure its quality. Our inventory is computer organized. So at any given point we know our entire stock and serial number for each JDM engine, transmission, and ECU. Due to our high volume of shipping, we offer some of the best shipping rates. We ensure that all items shipped are well packaged and safe before shipping them out. We also clean all of our items before shipping. We even polish certain items. So that way when it arrives at your place, Its ready for installation. How many importers do that? Also our ground and freight shipping partners cover the entire USA, Hawaii and Puerto Rico. We can also ship to Canada as well. If you have any questions or concerns please do not hesitat to contact us. And if your in the neighborhood stop by an see what we have for you. An with that we look forward to hearing from you. 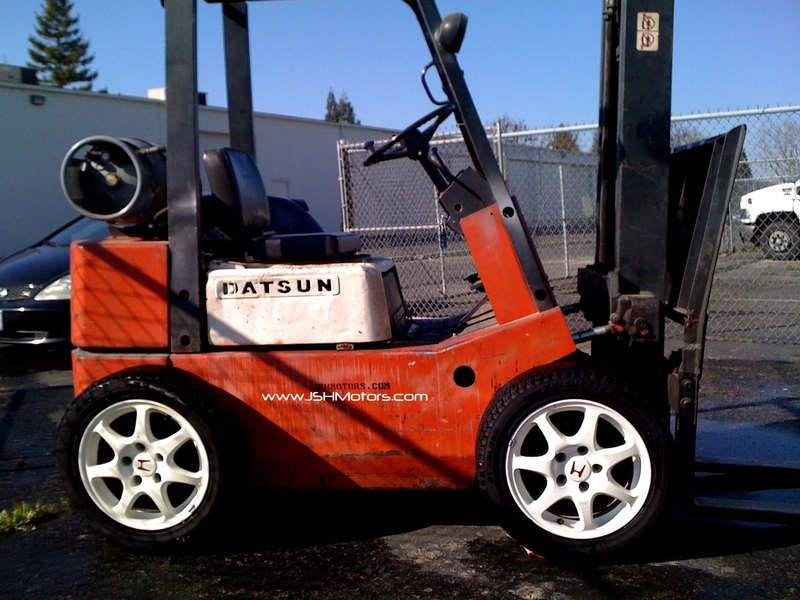 Yeah CTR wheels on our Forklift. Our waiting room- Chairs, Import tuner, FMG Magazines for our customers to hang out, while we get their item ready.